SKU: bkBambo. Category: Product Archive. This is the kendama that is sure to turn heads! The Bamboo BK is actually made from, you guessed it, bamboo. It’s rock solid and as durable (maybe more so) than most regular wood kendama models. Featuring a great natural wood pattern that is sure to attract attention. 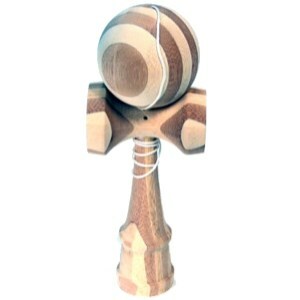 It’s the same size as the Standard kendama, and just a tad heavier due to the density of the bamboo.